When it comes to port connectivity, more is definitely more! The Thunderbolt Station 3 Plus offers ultimate connectivity by adding a staggering 15 ports for any application. The options go beyond the conventional, helping Thunderbolt 3 users to not only expand their connectivity but also charge their laptops. The power of Thunderbolt 3 combined with CalDigit s long history designing docking solutions has resulted in the most powerful Thunderbolt 3 dock available. The TS3 Plus is the ideal solution for Thunderbolt 3 Mac & PC users who need to connect multiple devices to their laptops such as SD Card Readers, USB hard drives, dual monitors, digital audio devices, Thunderbolt 3 components, and more. In addition to all this, the TS3 Plus is the best option for both Mac and PC laptop charging. While other Thunderbolt 3 docks on the market can only charge one platform, CalDigit s Thunderbolt 3 docks will provide up to 85W power delivery for both Mac and PC users. 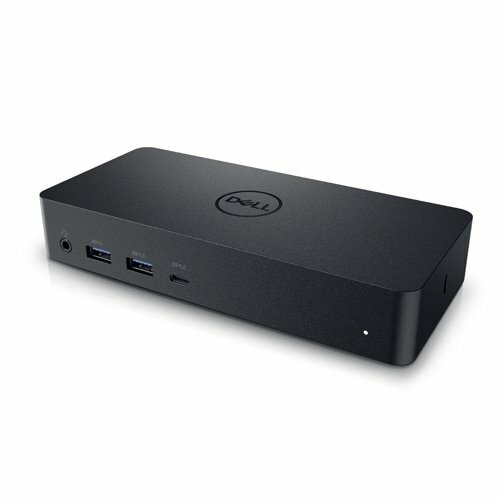 The Dell Dock provides a common docking experience for both Dell and non-Dell platforms via Display Port over USB Type-C, ensuring a reliable connection and crisp display. 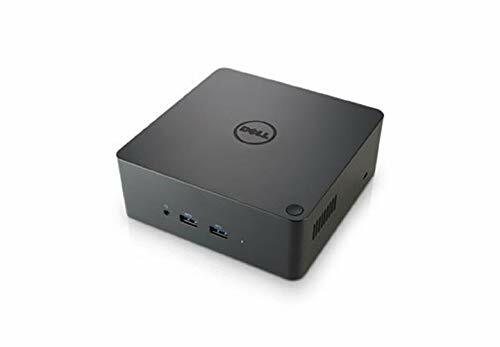 Featuring a powerful DisplayPort over USB Type-C cable, with the Dell Dock you can quickly connect your laptop or tablet to a single data and power source up to 130W for Dell devices, and 60W for non-Dell devices. 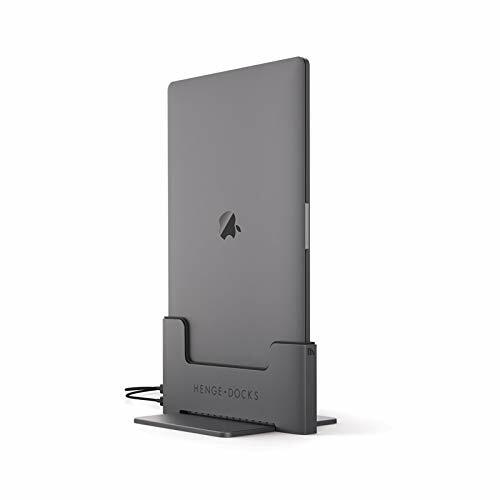 You ll also enjoy an easy, reliable connection from your laptop or tablet to dual FHD displays or a single 4k display at 30Hz, and all your essential peripherals. 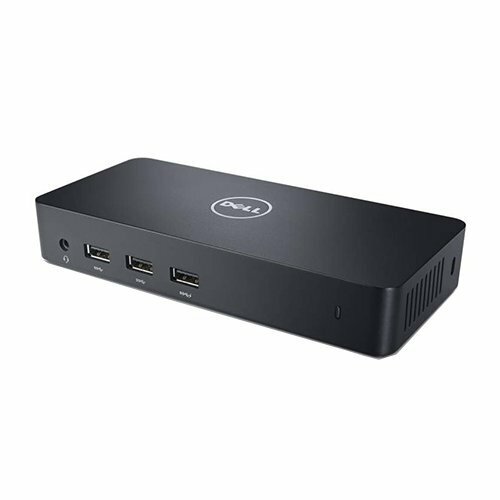 The Dell Dock is compatible with select Dell laptops, workstations, tablets and many compatible non-Dell devices with USB-Type C port(s) having data, video, and power capabilities. Easily connect to displays, a mouse, keyboard and audio devices through the Dell Dock from your compatible system of choice. It is compatible with the following models: The Precision series: 15 (3510), 15 (3520), 15 (5510), 15 (5520), 15 (7510), 17 (7710); The XPS series: 12 (9250), 13 (9350), 13 (9360), 13 (9365), 15 (9550), 15 (9560); The Latitude series: 15 (E5570), 12 (5280), 12 (5285), 12 (5289), 14 (5480), 15 (5580), 12 (7275), 12 (7280), 13 (7380), 14 (7480); As well as the Venue 10 Pro (5056). What s in the box: 1x Dell Dock; 1x DisplayPort over USB Type-C Cable; 1x 180W AC adapter with 7.4 mm barrel; 1x Quick Setup Guide. The ThinkPad USB-C Dock is a new universal docking solution ensuring a productive workstation. Experience all your productivity needs including video, data, and wired network all while delivering continuous power to your laptop via a robust USB Type-C port. Simply connect your laptop or tablet with the dock and boost your productivity in no time. Single UHD display 30Hz or dual FHD displays allows you to enjoy a vivid video experience. Compatible Thinkpad models: 11e Chromebook 20J0, 13 20GJ, 13 20GK, 13 20J1, T470 20HD, T470 20HE, T470 20JM, X1 Carbon 20HR, X1 Tablet 20GG, X1 Tablet 20GH. Not compatible with the Flex series, which do not support video through USB-C.
3x USB 3.0 ports, 2x USB 2.0 ports. 1x USB Type-C port, 2x Display Port, 1x Ethernet RJ45 port, 3.5mm Headset jack. Includes 90w AC power supply (Supports up to 60W Power Delivery). Supports up to Two Displays (Single UHD display at 30Hz or dual FHD displays). 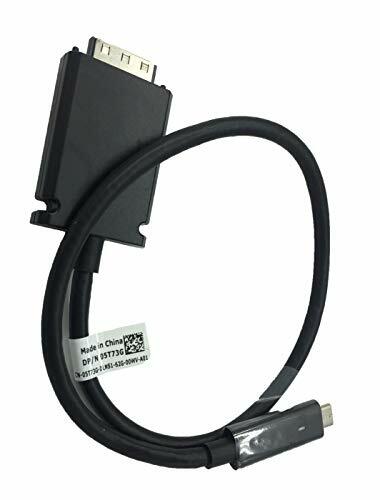 Compatible with USB-C laptops, please check your system ports and description below (some models include T470, T470s, T570, P51s, X1 Yoga 2nd Gen, Yoga 370, X1 Carbon 5th Gen, X270). 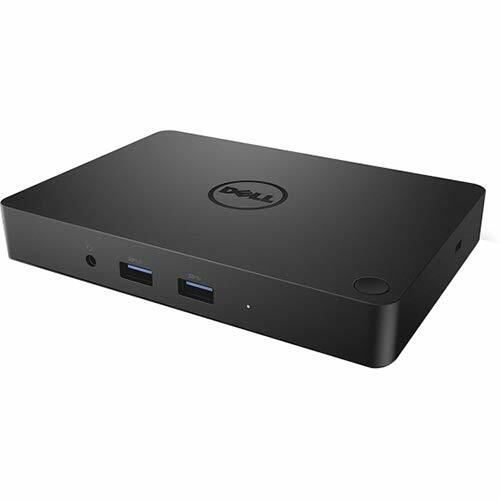 The Dell Dock provides a common docking experience for both Dell and non-Dell platforms via Display Port over USB Type-C, ensuring a reliable connection and crisp display. The dock connects with a single cable, freeing up space on your desk and in your workspace with the added ability to mount behind a monitor or on your desk. 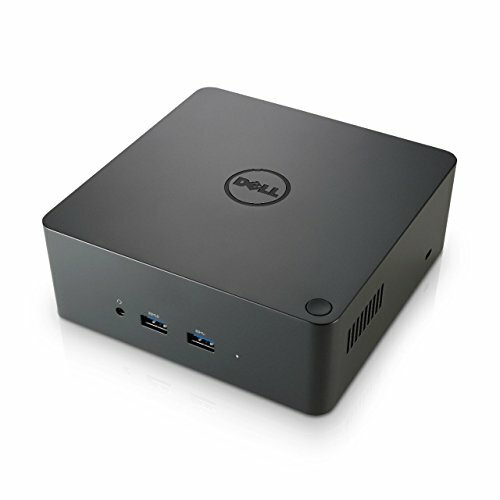 The small and compact Dell Dock enables fast, efficient connectivity to multiple displays and all your everyday peripherals through one convenient cable. It is compatible with the following models: The Inspiron series: 13 (7368), 15 (7569), 17 (7778); The Precision series: 15 (3510), 15 (3520), 15 (5510), 15 (5520), 15 (7510), 17 (7710); The Venue series: 10 Pro (5056), 8 Pro (5855); The XPS series: 12 (9250), 13 (9350), 13 (9360), 13 (9365), 15 (9550), 15 (9560); The Latitude series: 11 (5175), 11 (5179), 12 (5280), 12 (5285), 12 (5289), 14 (5480), 15 (5580), 12 (7275), 12 (7280), 13 (7370), 13 (7380), 13 (7389), 14 (7480). Please Note: A system requiring more than 130 Watts must have its own power adapter attached. What s in the box: 1x Dell Dock; 1x DisplayPort over USB Type-C Cable; 1x 130W AC Adapter with 7.4 mm barrel; 1x Quick Setup Guide. Compatibility: Dell Notebooks/Tablet PCs: Inspiron 13 5000 Series (5368), Inspiron 13 7000 Series (7368), Inspiron 15 5000 Series (5568), Inspiron 15 7000 Series (7569), Inspiron 17 7000 Series (7778), Latitude 11 (5175), Latitude 11 (5179), Latitude 7275, Latitude 7370, Venue 10 Pro (5056), Venue 8 Pro (5855), XPS 12 (9250), XPS 13 (9350). Quickly and easily expand your display, network, and device connectivity to customize an always-ready workspace with the HP 2013 UltraSlim Docking Station, a simple one-click, slide-in side dock for select ultraslim HP EliteBook Notebook PCs. EliteBook 720 G1-G2, 725 G2-G4, 740 G1-G2, 745 G2-G4, 750 G1-G2, 755 G2-G4, 820 G1-G4, 840 G1-G4, 850 G1-G4, 1020 G1, 1040 G1-G3; EliteBook Folio 9480m, 9470m; EliteBook Revolve 810 G1, 810 G3; Pro x2 612 G1; ProBook 640 G2-G3; ZBook 14; ZBook 14u G4; ZBook 15U G3-G4 Mobile Workstation. 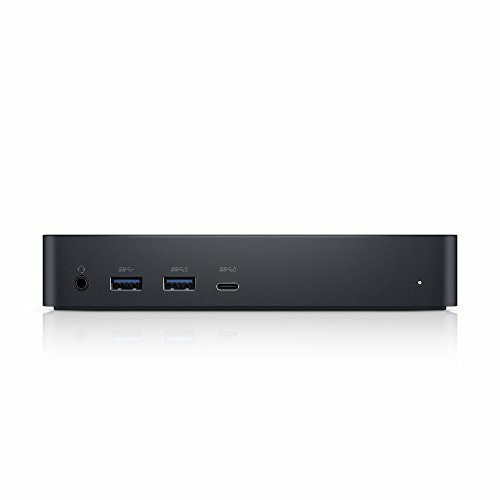 The Dell Thunderbolt dock TB16 -240W with Intel Thunderbolt 3 technology is the ultimate docking solution, designed for power users and traditional workstation clients, creating the ability to connect up to three FHD displays, two 4K displays, or one 5K display at 60Hz. Data transfers up to 40 Gbps allow lightning-fast transfers of larger files such as video editing files. Compatible with the following models: Latitude: 5280, 5480, E5570, 5580, 7275, 7285, 7370, 7380, 7389, 7480, Precision: 3510, 3520, 5510, 5520, 7510, 7520, 7710, 7720, XPS: 9250, 9350, 9360, 9365, 9550, 9560. 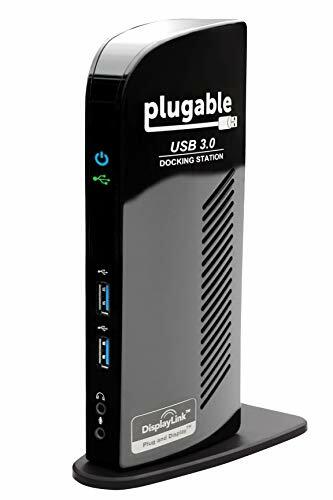 Featuring the latest DisplayLink DL-6950 chipset, the Plugable UD-6950H docking station lets you connect two external monitors up to a 4K@60Hz resolution using DisplayPort or HDMI to your Windows laptop, or desktop via USB 3.0. 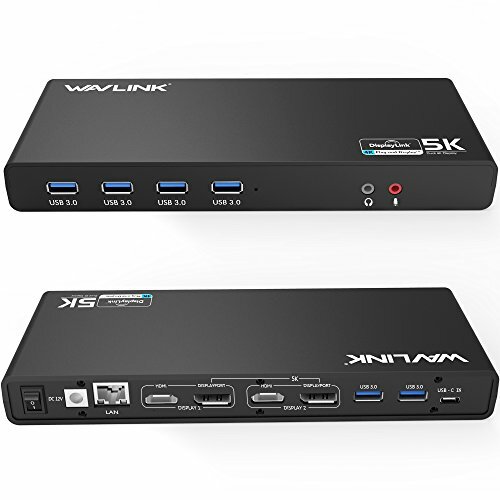 Additionally, the UD-6950H dock allows you to connect up to eight accessories to the six USB 3.0 ports, a Gigabit Etherent connection and audio input/output ports all through a single USB cable. Our docking station is compatible with most modern laptops and desktops running Windows 10, 8.1 and 7 and requires the DisplayLink graphics software to be installed. Not supported with macOS, Linux/Unix or ARM based Windows operating systems (such as Surface RT). 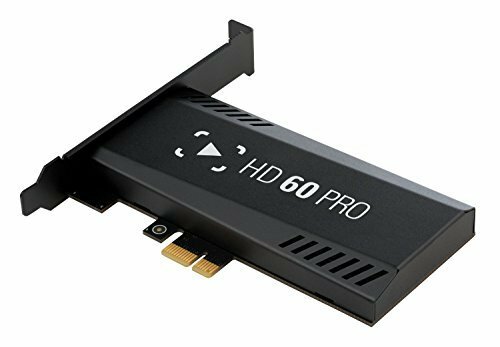 Does not support HDCP copy protected content (Blu-Ray, Netflix, Amazon Prime video, etc.). DisplayPort MST daisy-chain connections or Dual-Link DVI conversions are not supported from the DisplayPort outputs. Gigabit Ethernet port requires a Full-Duplex network connection from the connected network device (router, switch, etc.). 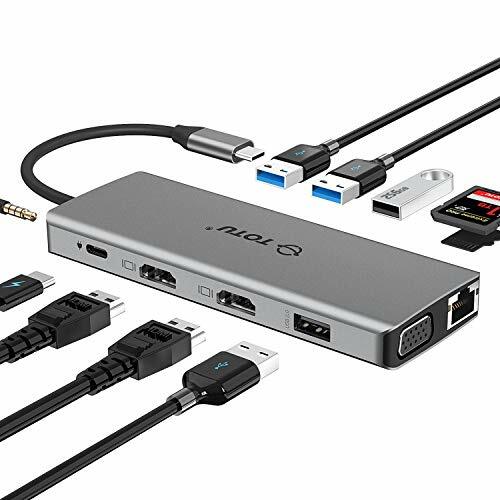 NOT macOS COMPATIBLE (10.13.4 version and later) The Plugable UD-ULTCDL USB-C Docking Station provides up to three additional display outputs via a combination of USB-C DisplayPort Alternate Mode ("Alt Mode") and DisplayLink USB graphics. 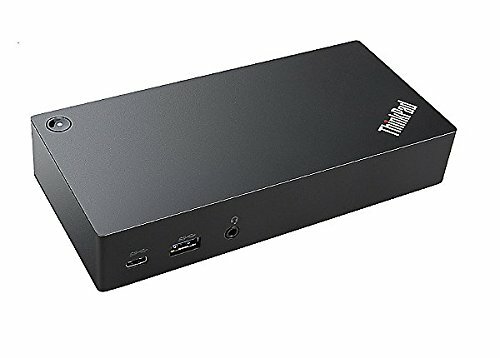 Up to 60W via USB-C Power Delivery ("PD") to charge your host computer, Gigabit Ethernet, audio, and 6x USB device connectivity. All through a single USB-C cable. See important notes regarding Alt Mode and PD compatibility below. Main HDMI port utilizes USB-C Alt Mode which has a direct "pipeline" to the host graphics processor (GPU), and connected monitor will perform as if natively attached. The 2nd and 3rd outputs are powered by DisplayLink DL-3900 which leverages the host GPU & CPU; these outputs are not recommended for gaming. Alt Mode video supported on select systems including Dell XPS 9350, 9360, 9550, 9560, Dell Precision 5510, HP Spectre 13" x360 13t. 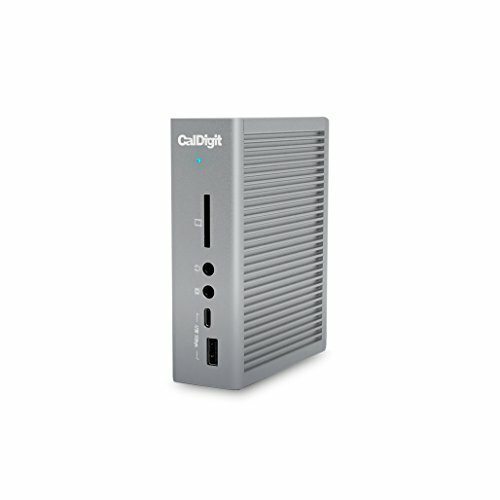 The included power supply can charge compatible host systems with up to 60 watts of PD power. Charging speed is host dependent but behaves as if laptop/tablet were connected to it's stock charger. DisplayLink graphics require Intel / AMD / NVIDIA GPU and driver. Cannot be mixed with non-DisplayLink USB graphics adapters and drivers (e.g. MCT, j5, or SMSC). HDCP/Blu-ray playback not supported. NOT macOS COMPATIBLE (10.13.4 version and later). Most current phones & tablets with USB-C ports do not support Alt Mode video output. ASMedia USB 3.1 controllers do not support Alt Mode at this time. Compatible USB 3.0 /USB-C Laptop with up to two additional displays.No longer will you be constrained by the available ports on your notebook. Allow you to connect up to two additional monitors and eleven accessories through a single USB cable. Built 10/100/1000BASE-T Gigabit Ethernet RJ45 f,Wired network connections are faster and more reliable than any Wi-Fi. With separate microphone input and amplified audio output,you can enjoy crystal-clear conference calls or any other project benefits from having your voice heard. 4 x SuperSpeed USB3.0 ports provides up to 5Gbps data transfer speeds, which is 10 times faster than USB2.0. Supports 5.1 Channel Surround Sound,supports Extend and Mirror Video Mode. - Number of displays supported: 2. - Max Resolution: 5K (5120 x 2880@60Hz)- Note: 5K only via dual Display Ports only. This dock doesn't support Power Delivery function. Supports DP 1.2 and make sure monitor settings are configured to use DP 1.2 and not 1.1. 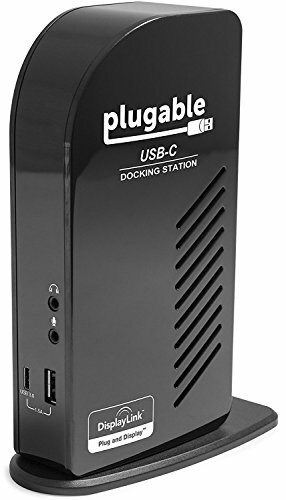 UNIVERSAL DOCKING STATION - Fully compatible with USB Type-C ,Type-A and Thunderbolt 3 laptops and desktops. (Both USB-C to USB-C and USB-A to USB-C cables included). 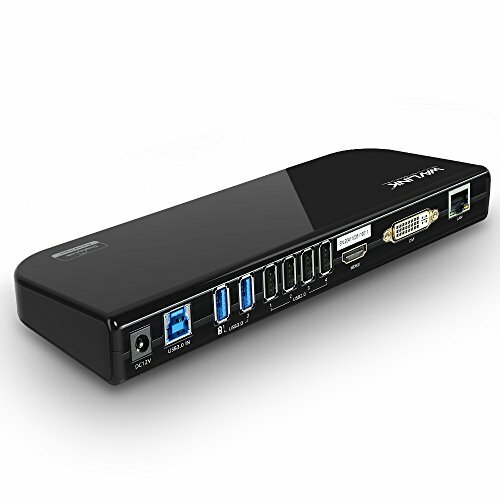 ALL-IN-ONE DOCKING STATION - 6 x USB 3.0 ports give you access to SuperSpeed data transfer rates of up to 5Gbps.Integrates 2 HDMI & 2 DP Dual Video Outputs, Gigabit Ethernet, Audio out and Mic in are also offers enhanced your laptop's performance capabilities. COMPACT&MODERN NEW DESIGN - The Unit Dimensions of low profile black dock: 223 X 80 X 26MM (L x H x W),and its wegiht of the dock just only 890g with ABS Housing Material.WAVLINK Committed to providing you with high-quality products and quality services.Please don't hesitate to contact us via Amazon if you have any questions. Welcome Home, MacBook. Sleek in its design and simple to use, the Vertical Dock opens up essential space on a crowded desk while neatly managing the flow of connections in and out of your MacBook. Guided docking allows for a quick integration of your notebook with all of your devices, while the sturdy, Space Gray metal construction firmly secures your notebook in place. Configure for desktop, home media, or conference room setup. The Vertical Dock works with any connections that work with your MacBook Pro making it at home in any environment. Precision alignment: One-handed docking and undocking that's easy and consistent. A moving, suspended liner automatically aligns the connections to your MacBook during docking and assists in undocking. Intake and exhaust vents allow additional airflow to and from the MacBook's cooling system. Efficient heat management keeps things cooler in clamshell mode even under the heaviest processing loads. Space Grey, solid metal chassis blends seamlessly with MacBook Pro creating a more refined desktop experience and home for your MacBook. 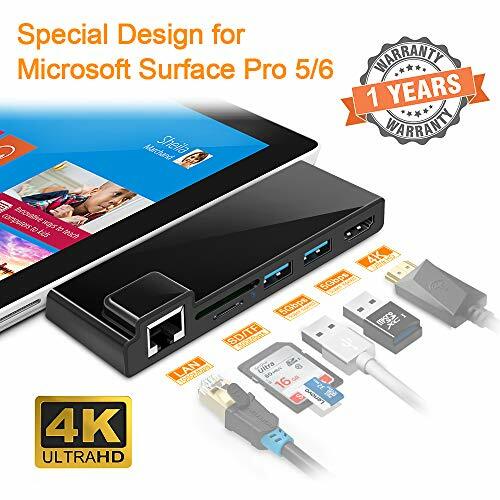 Rocketek 6 in 1 Surface Pro Hub Adapter with Multi Ports of Ethernet/HDMI/Dual USB 3.0/SD/TF/Micro SD slot Card Reader Como Adapter Furthest Meet Your Demands to Expand the Productivity of Your Surface. Multi-function USB 3.0 hub, expand the productivity of surface pro. Offer stable network connection via LAN port. Enjoy the HD TV & video after using the HDMI adapter. Support data transfer and card reader. Unique design to save space and looks super compact. 2x USB 3.0 ports, maximum data transfer rate 5Gbps. 1 x 4K HDMI port, HD video resolution up to 4K@30HZ and 1080p@60HZ. 1 x SD/ TF card slot. 1 x Micro SD card slot. Note: Support data transfer between the Smartphone/Tablet and SD/Micro SD card. SD card slot and card slot can't be used at the same time. Support Memory Card:A. SD / SDHC / SDXC / EXTREME SD / EXTREME II SD / EXTREME III SD/ ULTRA SD / ULTRA II SD / ULTRA II SD P PLUS / SD-ULTRA-X /ULTRA SPEED SD / SD PRO / SD ELITE PRO / HS SD / MMC /MMC 4.0. 12onth manufacturer's warranty and free lifetime technical support. - If the device connected is over 5W, please connect with an external power adapter. - Only for Surface Pro 5. - It is recommended not to use it for a long time to avoid HUB overheating or overloading. 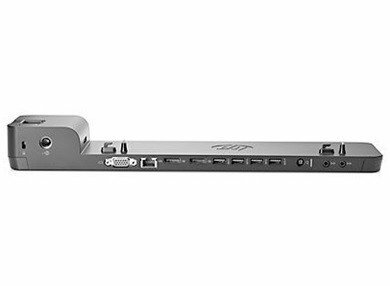 Multifunction Surface Pro Hub This multiport USB 3.0 Hub integrates six interface in one, which includes 4K HDMI output, Gigabit Ethernet (RJ45 jack) port, Dual USB 3.0 ports, TF/SD card reader port and Micro SD slot. Highly compatible for your demands. Unique and Extra-compact Design Special bevel-side and compact design of this USB 3 hub perfectly match your Surface Pro 5. And wireless design make your desktop more clean and organized. While aluminum case protect the shape and easily release heat. Light-weight is convenient for travel or business trip. An idea USB 3.0 extension for surface work for Windows, MAC and Android OS systems. Surface Pro 5 / Pro 6 HDMI Adapter 4K HDMI adapter mirrors your SP5 display to HDMI-enabled devices with the resolution up to 4K@30Hz. Eletrand surface hub hdmi with built-in DP transmission interface make a higher definition video stream. Hub with Ethernet & Card Reader Adapter The LAN Adapter offers full 10/100/1000 Mbps over RJ45 Ethernet port, faster and more reliable than most wireless connection. Simultaneously support USB 3.0 ports/SD/Micro SD data transfer, which allow you upload and download photos, videos, music and other files in second. Plug and Play &Hot Swapping No driver installation is required. The USB Hub also comes with the Micro USB port to get powered when connecting power-hungry devices such as external hard drives. Matches excellently with your New Microsoft Surface Pro 2017/ Pro 5. 12 month warranty and no worry on return or refund. Warranty: 12 month warranty and no worry on return or refund. 5Gbps high speed USB 3.0 x 2, SDXC card slot x 1, micro SDXC/TF x 1, 1000M Ethernet LANx1. Surfacekit hub adapter with dual USB 3.0 port, up to 5Gbps 10X fast than USB 2.0 hub. Transfer videos and images just in seconds, saving your time. 1000M high speed surfing on your surface pro 5/6, enjoy a fluent network environment, without annoyance. Surfacekit multiple hub adapter with 12.00mm distance between USB to mini DP, provide a 4K/2K@60Hz high definition pictures or videos transfer for you through the 4K HDMI port. System Compatibility: Windows 2000 / ME/ XP / Vista / 7 / 8/ 10/ MAC OS 10.X system. 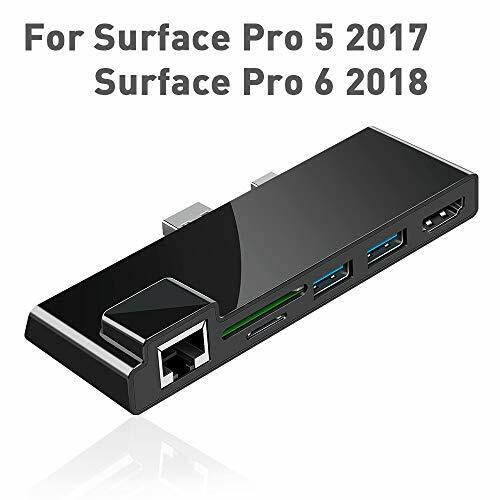 Design for Surface Pro 5&6: Special design 12.00mm space between mini DP and USB 3.0 port, seamless fit with Surface Pro 5 2017 and Surface Pro 6 2018, extend your surface for more. Card Reader & 4K HDMI: 4K HDMI adapter support video resolution up to 4K/2K@30Hz output. Double high speed USB 3.0, 1 x SDXC card slot, 1 x micro SDXC/TF(Push slot for pen drive), 1 x mini DP-HDMI combo memory card reader. 5Gbps Fast Speed Data Transmission: 2 ports USB 3.0 with high speed up to 5Gbps, transfer data 10 time faster than USB 2.0(480Mbps), saving plenty of your time and enjoy data transmission in seconds. 1000M Ethernet Lan: Fast Ethernet 1000 Mbps auto-negotiation RJ45 ports greatly for network capacity, enjoy with high speed surfing. Multiple USB Ports Compatibility: USB 3.0 for data transfer to plenty of USB devices, like USB sticks, U Disk, card reader, keyboard, mouse and other USB devices. The ThinkPad Ultra docking station provides the best docking experience for large enterprise ThinkPad customers. The innovative side connector, designed exclusively for ThinkPad notebooks, provides a Driver-free way to connect conveniently and securely to a range of USB accessories and external displays. Its rapid charging support and mirrored power button make it easy to unlock and go. Featuring multiple video ports, connect up to three UHD displays for maximum productivity gains. Designed for enterprise environments, ThinkPad Ultra docking stations support PXE Book, wake on LAN, and Mac address pass-through, simplifying asset management for it managers. Painstakingly designed and extensively tested, ThinkPad Ultra docks provide seamless docking in a minimized form factor. 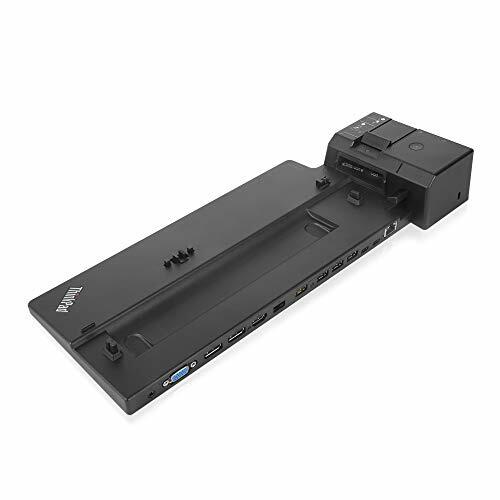 - Lenovo USA ThinkPad Ultra Docking Station (P/N; 40AJ0135US ) For P52s, L580, L480, T580, P580p, T480s, T480, X1 Carbon Gen 6, X280. - Lenovo Retail Packaging Includes The Ultra Dock, 135w Slim Tip AC Adapter With 2 Pin Power Cord, 2 Locking Keys, Set Up Poster. - 1 HDMI Port , Intel vPro, PXE boot, Wake-on LAN, and MAC address pass-through, Optional master key lock. Allows For a 3 Monitor Hook Up. 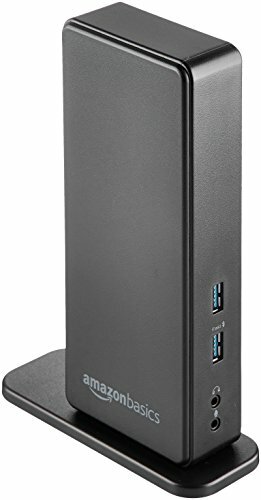 - 4x USB 3.1 gen2 (10Gbps) with 1 always-on USB charging, 2x USB-C ports (10Gbps, 5V 3A power), 10/1000 Gigabit Ethernet, 2x DisplayPort 1.4, 1x HDMI 2.0, 1x VGA, 1x Stereo/Mic Combo Audio Port, 1x DC-IN. 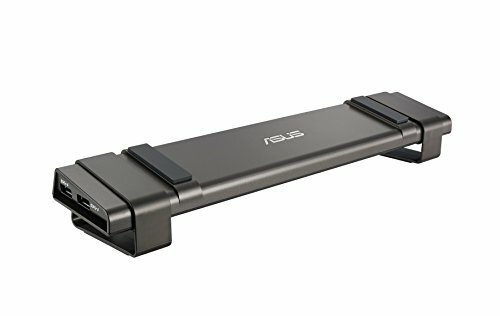 Newly upgraded ASUS USB3.0 HZ-3B Docking Station lets you easily connect your laptop to all your accessories, and also gives you convenient network and audio connections! It connects to your PC via a single USB cable, and features two USB 3.0 ports on each side that now support a powerful fast-charge function for quickly recharging your portable devices. We've also added a USB Type-C (USB-C) port* for fast and convenient device connections via the revolutionary any-way-up connector design. 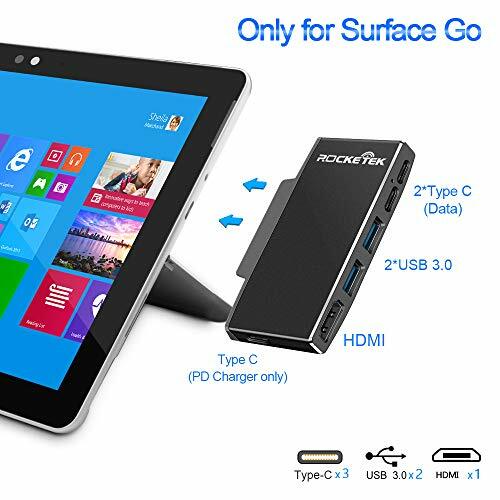 Rocketek multiport Surface Go hub adapter expand your Surface Go with USB 3.0 x 3, USB-C x 2 (data), USB-C x 2 (PD charge only), HDMI functionality. Easy your life without delay. Slim body, easy to set into your laptop sleeve/bag or pocket. Engineered with a sleek aluminum-alloy housing in a gunmetal finish, essential companion of Surface Go with type-c port. Premium Design & Perfect portability lighter and faster. Designed by space aluminium, thinner and sturdier, more desk space-saving, office essential. Easy to travel with your laptop wherever you go. Rocketek USB-C hub can support 60W pass-through charging , shared by hub and devices connected. And the real output is based on adapter used. Connect to your smartphone, tablet, hard drive or other USB peripheral via the USB 3.0 Ports and transfer data between Surface Go and connected device, super speed usb 3.0 ports transfer data up to 5Gbps. Mirror or extend your screen with USB C Hub HDMI port and directly stream 4K UHD @ 30Hz or Full HD 1080p video to HDTV, monitor or projector. No matter in meeting or home cinema, the small gadget will make your every sense experience even better. Multiport USB C Hub: Easily extend one USB C port to 4K HDMI, 2 x USB 3.0 ports, USB C 60W Power Delivery, 2 USB C Ports(for Transfer Data), without install drive, plug and play. Specially designed for Microsoft Surface Go. 4K HDMI Output: USB C to HDMI port can mirror or extend your screen with the HDMI port, directly stream 4K UHD or Full HD 1080p video to HDTV, can reach to maxmonitor or projector. Super Speed USB 3.0/USB C Ports(At Full-Speed): Allow you to connect keyboard, mouse, usb drive, usb hard disks, etc to Surface Go, Up to 5Gbps data transmission speed, down compatible with USB 2.0 and below. Power Delivery: Support PD charging at max 60W, this multiport USB C adapter provides one Type-C pass through Female port by which you could securely charge your Surface Go. It's convenient for you to use your USB-C power adapter to power both your laptop and the hub, eliminating clutter and hassle when you work. Compact and Portable: Aluminum USB C adapter is light and compact, you can put it in your pocket easily, conveniently take it on-the-go for business travel and more. You will get 24 month Warranty and Hassle Free Replacement in 3 months with Free Lifetime Technical support. ATTENTION : Docking Station NOT include. 1.Triple Display: One display of HDMI0 output, one display of HDMI1+VGA, one screen of laptop. (HDMI1&VGA will output the same display) MST FUNCTION, but only Windows support MST, Mac OS DOSE NOT support. Screen switch shortcut key: Windows+P. 3.The USB ports are intended for data transfer. They only provide minimal 0.5A charging. 4.DO NOT support replication or extended displays when connecting the gaming device. 5.The max resolution of VGA and HDMI simultaneous output is 1080P. The max resolution of two HDMI simultaneous output is 4K UHD. 6.When the ambient temperature is around 20-29 degrees, the working temperature of this hub can reach up to 41-49 degrees. Massive USB C Hub: TOTU 12-in-1 USB Type-C Hub includes Ethernet/RJ-45 port, Type C PD Charging Port, 2 USB 3.0 ports, 2 USB 2.0 ports, 2 HDMI video output with 4K resolution, VGA, and Micro SD & TF card reader.The SD card slot and the TF card slot can be used on the hub simultaneous.Mic/Audio port in extremely compact and sleek design.100% money back for quality problem within 30 days, 12-Month Warranty and Friendly Customer Service. Ultra HD 4K Output& Triple Display: Mirror or extend your screen with the USB C adapter HDMI port and directly stream 4K UHD or Full HD 1080p video to HDTV, monitors, or projectors for a cinema-like visual feast. Triple Display: One display of HDMI output, one display of HDMI+VGA, one screen of laptop, but only Windows system support MST, Mac OS DOSE NOT support.Screen switch shortcut key: Windows+P. Triple display makes you manage multiple applications more convenient. Reliable and Super-speed Data Syncing : Two 3.0 USB ports support transmission speed rates of up to 5 Gbps. Two USB 2.0 ports with 480 Mbps transfer speed.Due to the USB 3.0 radio frequency interference to the wireless connection, it is advisable to connect the USB 2.0 port which located in the opposite side of USB 3.0. Compact Shape with High Flexibility: Extremely compact and slim,You can put it anywhere you want to work, even if space is limited. Place the hub in your bag for on-the-go presentations, data gathering, design projects and more. An ideal device for daily carrying, commuting and travelling. Rocketek USB 3.0 hub Surkit-E with 2 USB 3.0, Ethernet Portx 1+ Mini DP to HDMI x 1+SD(SDHC) x 1+TF(Micro SD)x 1 card slots for surface Pro 3, 13.20mm space from USB port to mini DP port, data transfer up to 5Gbps and 4K resolution. Dual port USB 3.0 with 5Gpbs fast speed that saving plenty of your time, more than 10 times faster than USB 2.0(48Mbps) hub, transfer date in seconds. You can share your surface pictures to a big screen through Opluz mini DP to HDMI combo adapter, enjoy high definition up to 4K/2K@30Hz. The LAN Adapter offers full 10/100/1000 Mbps over RJ45 Ethernet port, faster and more reliable than most wireless connection. We provides 24 months hassle-free manufacturer's warranty, free lifetime technical and money back in 3 months service for all customers who purchase from us. Connectors-Input: 1 USB 3.0 port, 1 Mini DP port. Connectors-Output: 2 USB 3.0 port, 1 LAN port, 1 HDMI port,1SD&2 Micro SD card slot. Card Support: SDXC, SDHC, SD, MMC, RS-MMC, TF, Micro SDXC, Micro SD, Micro SDHC, Mini SD, UHS-I cards, up to 128GB. Multi-functional Card Readers: 6 in 1 usb cards reader with dual port USB 3.0, mini DP-HDMIx1, SD ( SDHC / SDXC)x1 &Micro SD(TF)x2 Memory Card Reader for Microsoft Surface. Compatible with SDXC, SDHC, SD, MMC, RS-MMC, TF, Micro SDXC, Micro SD, Micro SDHC, Mini SD, UHS-I cards up to 128GB. Saving Your Time Remarkably: 2-port USB 3.0 with ultra-speed up to 5Gbps, 10 times faster than USB 2.0. Compliant with USB 2.0(48Mbps)and 12Mbp transfer rate. 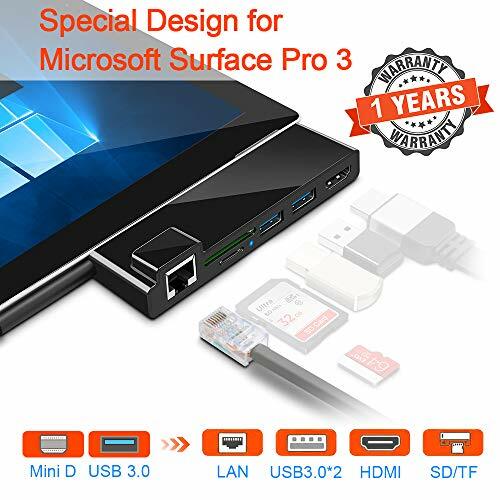 Surface Pro 3 4K HDMI dongle: Transfer 4K data from mini DP to HDMI with connected HDTV, monitor, projector and display, enjoy high-definition videos and images on your big-screen display. Hub with Etherne Adapter: The LAN Adapter offers full 10/100/1000 Mbps over RJ45 Ethernet port, faster and more reliable than most wireless connection. Simultaneously support USB 3.0 ports/SD/Micro SD data transfer, which allow you upload and download photos, videos, music and other files in seconds. Durable&Light Weight&Portable: Design with Aluminum alloy case, protect inside part well. UIltra slim compact size and light weight that you can take it easily into a pocket, laptop case. 24-month hassle-free manufacturer's warranty/free lifetime technical & money back in 3 months.